The Alhambra House Project is a commitment of the Order. It is a project funded from the Alhambra Charity Fund, Inc., to provide financial assistance for establishing residences for persons developmentally disabled. The first Alhambra House to receive financial assistance was approved in 1993 and is now in existence. It functions under the auspices of Gabriel Homes, has six residents, and is located in Herndon, Virginia. Others have been approved for grants or interest free loans, in California, Florida, Illinois, Michigan, New York, Ohio and Pennsylvania. 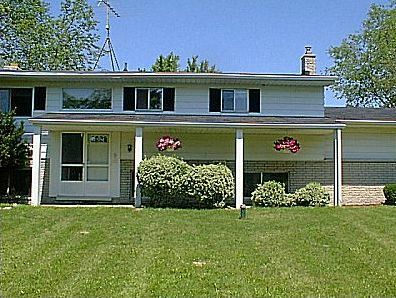 The Michigan Alhambra House was dedicated on August 1, 1994 in Clarkston, Michigan. The house serves four developmentally disabled men and women who work in a nearby workshop. 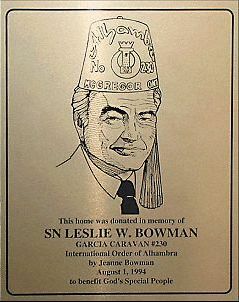 The house was donated as a group home by the widow of SN Leslie Bowman, Jeanne, with the understanding that it would be used to assist the mentally disabled through the Order of Alhambra. 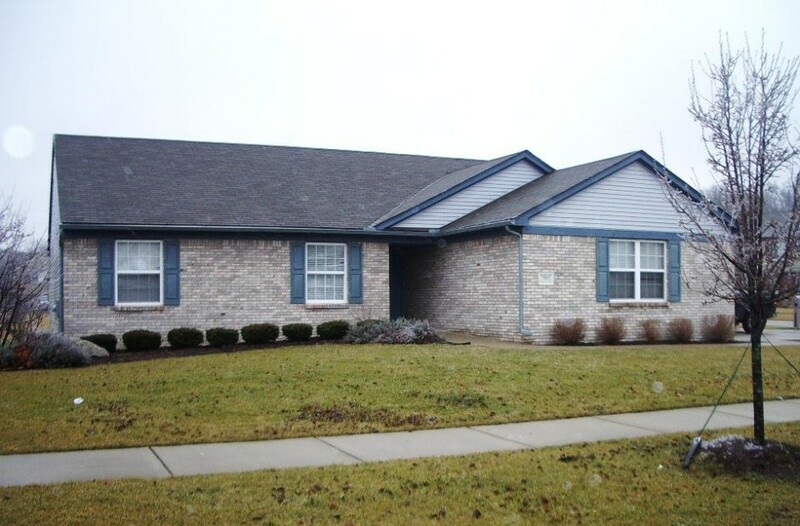 This home is operated by the Macomb-Oakland Regional Center. Alhambra House, dedicated and officially opened on May 31st, 1997, is home to six men and women with developmental disabilities and two full-time assistants for whom this is also home. Together they form a Community based on the Gospel values of living in gratitude for one another and in reconciliation with one another and with the broader community. 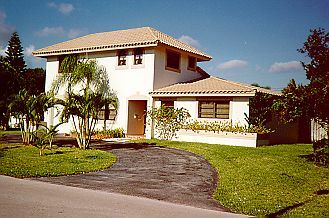 This is the second of the Nazareth Homes, each within walking distance of one another in this southeast Florida community. All six residents go to work M-F. At home they take turns assisting with cooking, laundry, and cleaning. Each evening the Community gathers in a short prayer, bringing together the concerns of the day, and reasons for celebration. Evenings and weekends, friends visit the home, frequently inviting the residents out. Volunteers (full-time or part-time) are gifts to the Community. Plans are to open a third home when funds are available. Oran - Alhambra House was a project long in the making. The idea began in 2006 when Grand Commander Jim Rigby saw a strong need for independent living for some Special Needs people. The idea was to get them out of an institutional setting and allow them to be assimilated into society. The plan began to really take shape when Jim got with Tom Easter and Bob Fell and the discussion began to make this project a reality. There were many obstacles that were encountered from that time until this home was finally built and dedicated in November 2012. The home dedicated by His Excellency and Sir Noble Bishop Lawson Howze was first leased to Brandi's Hope, an organization that assists the Intellectually and Developmentally Disabled, for the day to day staffing and selecting of residents. This home is a four bedroom, two bath 1,254 sq foot residential home centrally located in a residential neighborhood, close to public transportation and within walking distance to local parks. 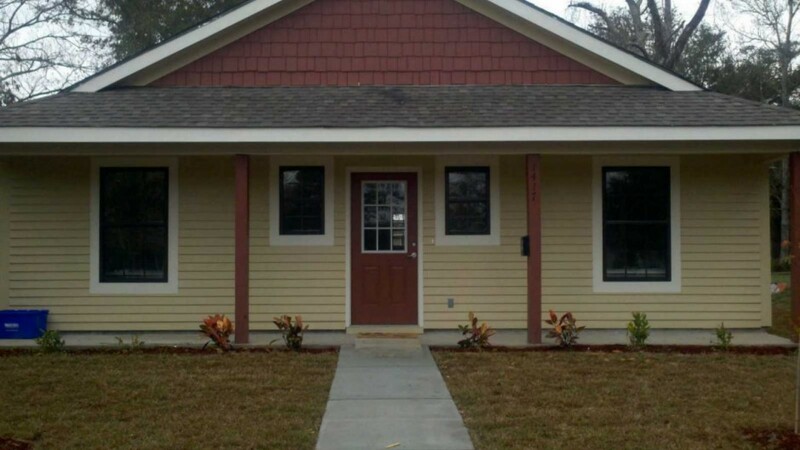 This home was conceived to be a place where people who are Intellectually and Developmentally Disabled would be able to live in an independent life style and create their own home. A home where the residents with abilities can share in the God given gifts of independence and not of an institutional living situation. A home where the residents can set their own rules, with guidance, and establish their own schedules. This home was funded by the International Order of Alhambra Charity Fund. A fund dedicated to the believe that every person has worth and every person has potential. It is our job to help find the worth and the potential in each one.